Captain James Thomas Byford McCudden, single-handedly, attacks five enemy scouts, as a result of which two are destroyed. On this he occasion he returns home only when the enemy scouts have been driven far to the east; his Lewis gun ammunition is all finished and the belt of his Vickers gun has broken. This action is typical of those, which will lead to his being awarded the Victoria Cross. At a camp in England where rifle grenade practice is being carried out one of the men strikes the loophole with his bayonet and causes the fuse of a grenade to ignite. Lieutenant Fred Kelly (Duke of Wellington’s Regiment) who is in charge shouts to the man to drop his rifle and get clear but he man loses his nerve and remains in the trench gripping the rifle. Lieutenant Kelly then seizes the rifle and with much difficulty gets it out of the man’s hand and throws it away. He then tries to push the man out of the emplacement but before he can get him clear the bomb explodes and they are both slightly wounded. 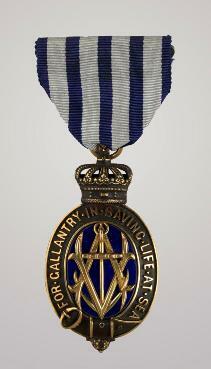 For his actions Lieutenant Kelly will be awarded the Albert Medal. Five fatalities are suffered among the three flight crews that go down this day. Chaplain Joseph James Griffin dies on service at home.